CEREMONY - GIBSON BEACH RESERVE, WATSONS BAY. 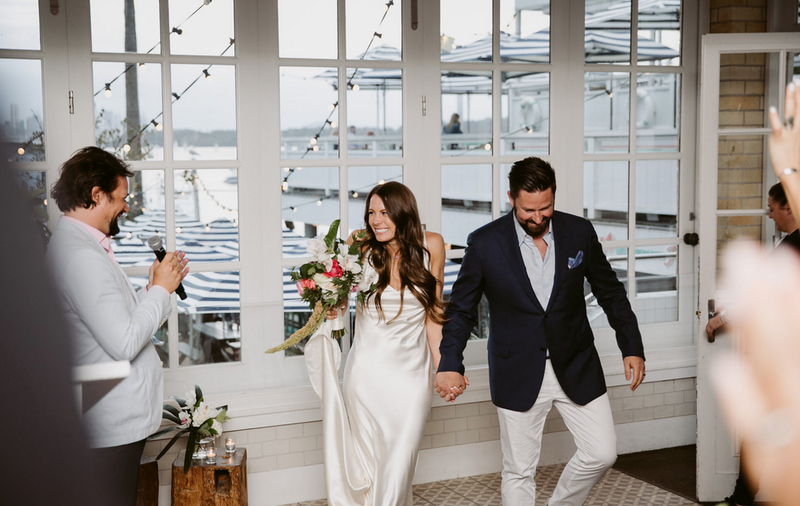 RECEPTION - WATSONS BAY BOUTIQUE HOTEL. FLORALS & STYLING - BY US. Putting together Sara & Stuarts Wedding was a complete pleasure and honour to do. 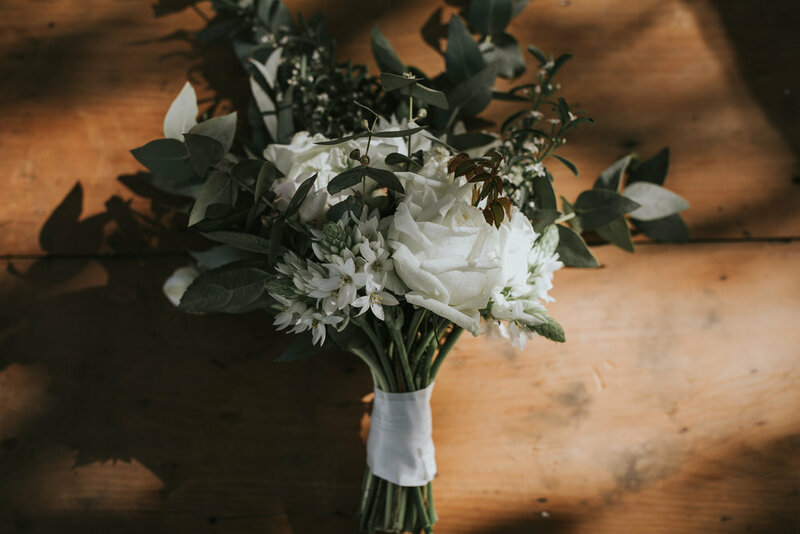 We hit it off at our first meeting and understood each others style and vision for the perfect Wedding Day to unfold. 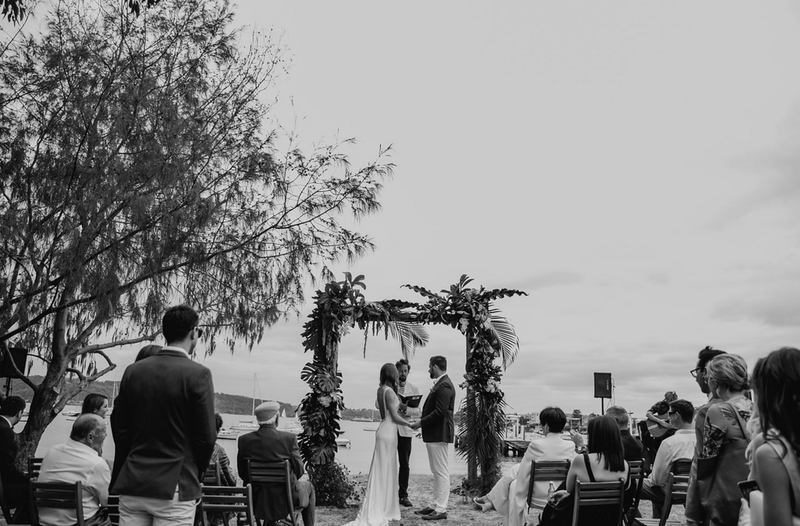 The ceremony looked divine underneath the famous fig tree at Watsons Bay. 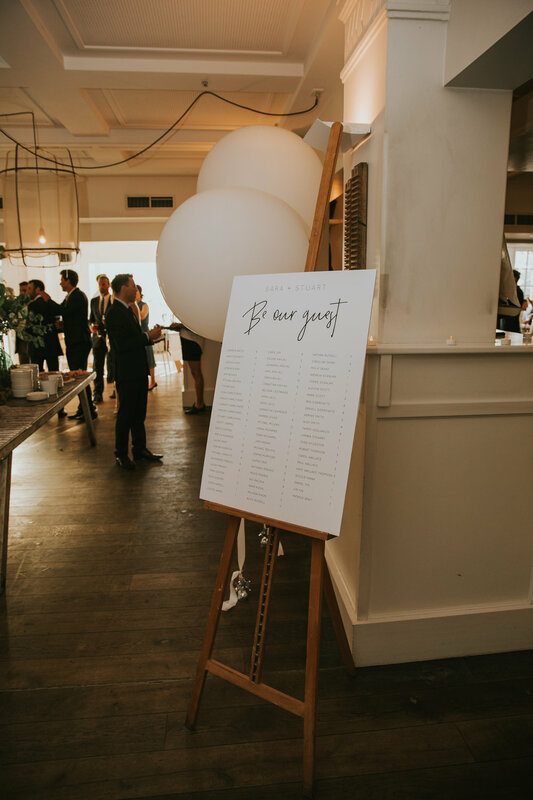 From the white aisle to the giant 3 ft balloons, the style of this wedding was very chic yet lots of fun elements that made you go ‘wow’. The Bridesmaids held copper hooped bouquets & even the boys had a balloon to keep them company. After formalities the champagne flowed at the outdoor for guests to enjoy. Inside the reception at Watsons Bay Hotel a giant cascading balloon tail was flowing from the ceiling and framed the bride and groom at their table. 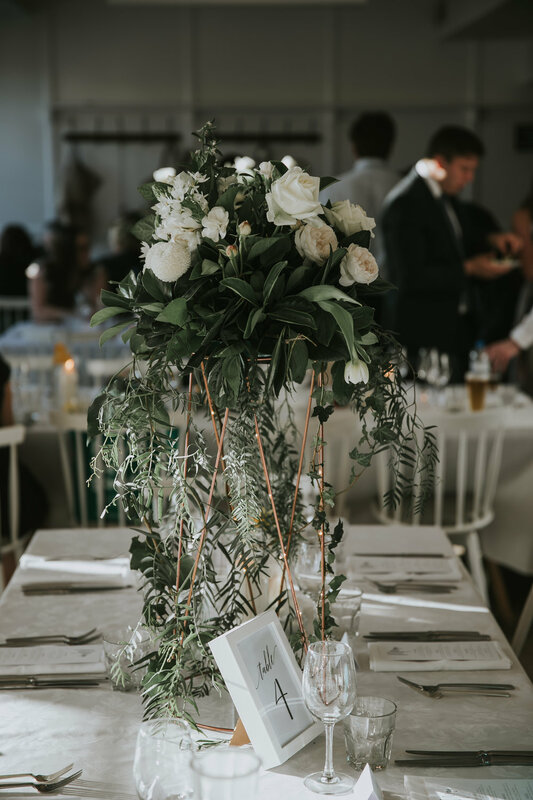 Table flowers were on display in customised high stands with fairy lights to warm the room into the evening. 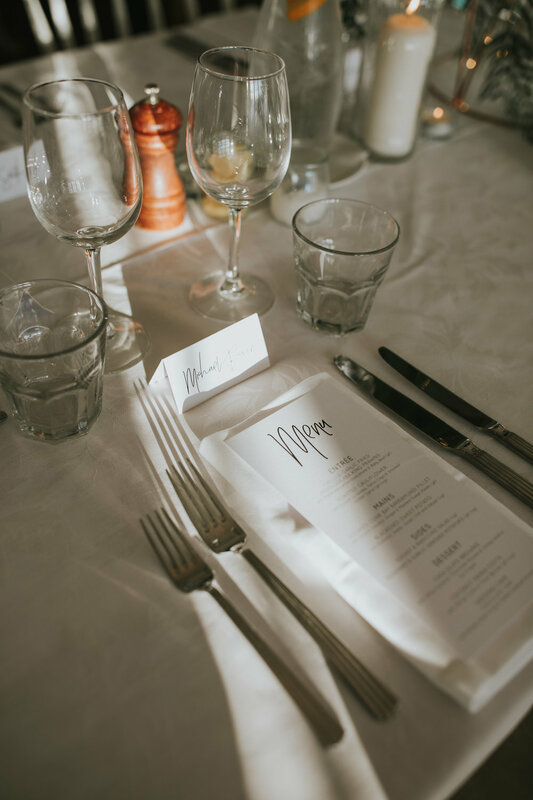 The stunning printed menus & name tags (which we had made double sided) complimented the table styling. Custom made A1 frame nestled inside the famous Dunbar Fig Tree at Watsons Bay. Sara - the stunning bride! Supplied by Born To Party! Printed menus, name cards, welcome signage and seating chart supplied by the talented ALC team. The table flowers were positioned high above the guests to create a sense of being outside in a Hamptons garden.